Recently we’ve been trying to eat healthier, and make healthy substitutions. 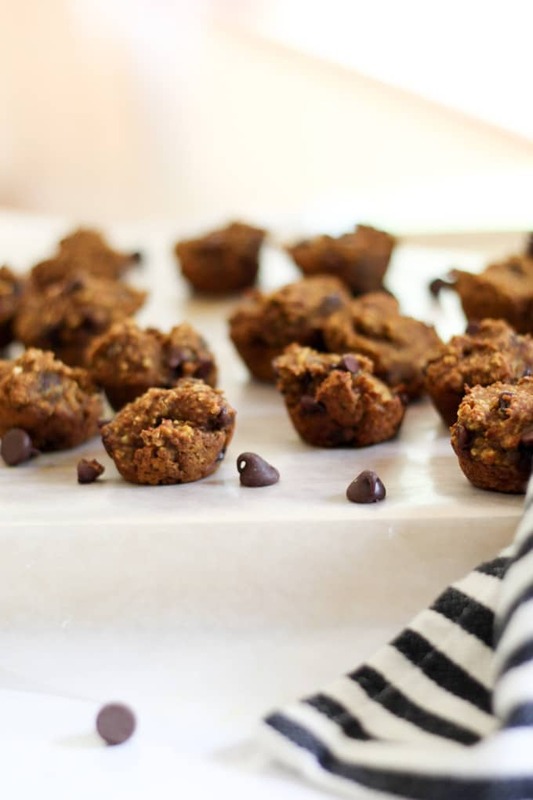 A few weeks ago I shared the pumpkin chocolate chip cookies that we’ve been loving. 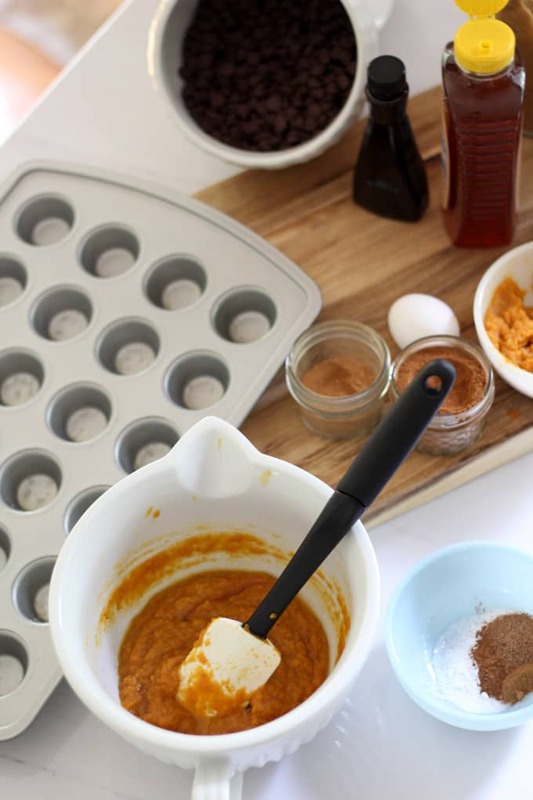 Today I’m sharing a similar and equally delicious recipe for pumpkin chocolate chip muffins. 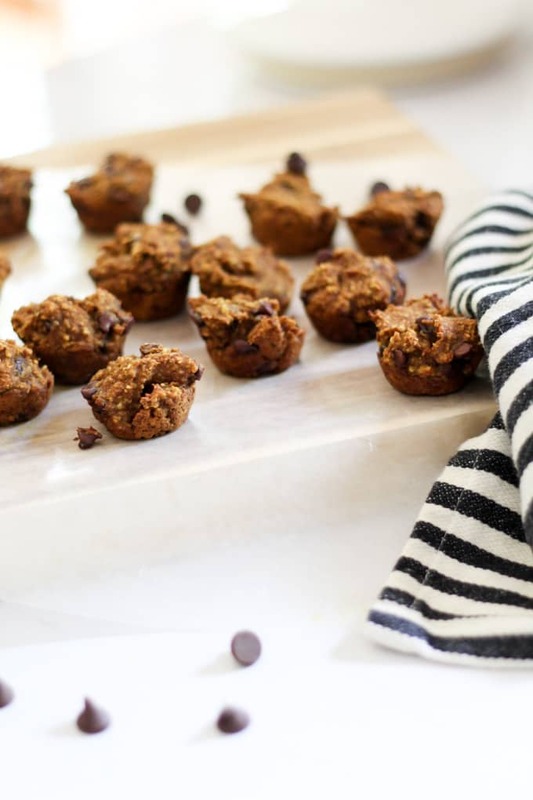 These muffins only have four tablespoons of brown sugar in them, and otherwise are sweetened by honey and however many chocolate chips you decide to put in them. 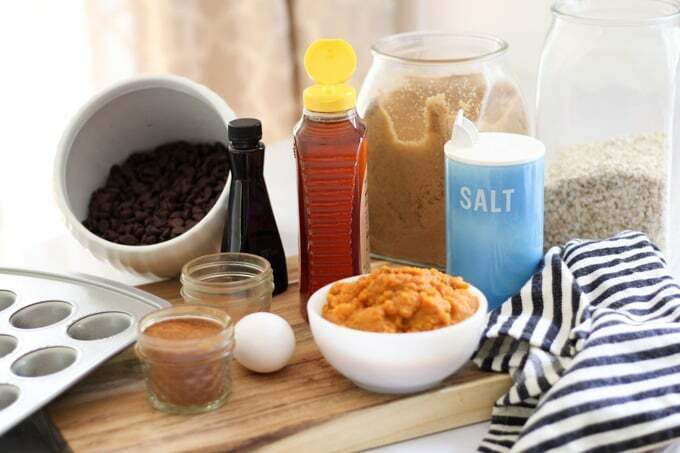 You start out by mixing the wet ingredients. 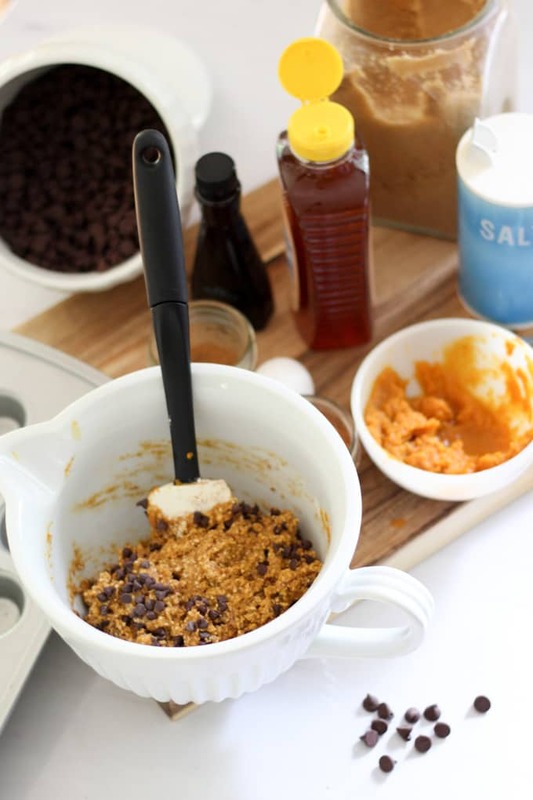 Then you add in the dry ingredients and chocolate chips. 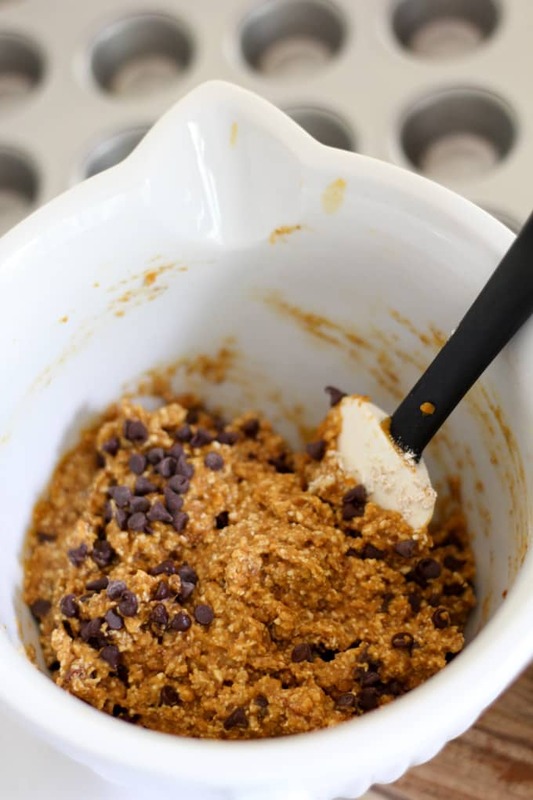 The oatmeal flour is just oatmeal that has been blended in the food processor to a flour like consistency. For the chocolate chips I like to use mini chocolate chips because it just means you have a better chance of getting chocolate in every bite without having to use more chocolate! 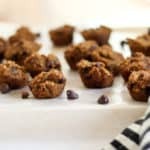 These can be made into large muffins or mini muffins, but I think there’s something fun about mini muffins. The thing to remember is that they don’t rise very much, so the shape that you put them in, is basically the shape that they come out. 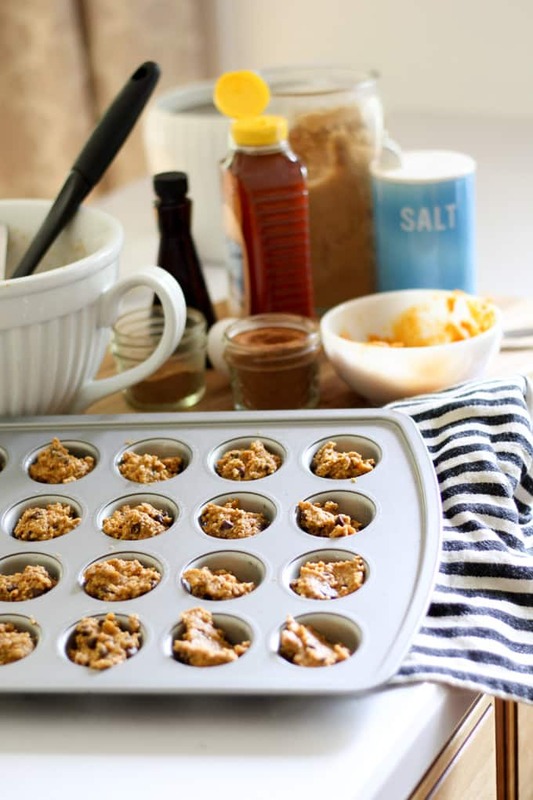 It’s also important to spray the muffin tin to keep them from sticking! Even though these aren’t perfectly shaped, they taste absolutely amazing. The dangerous part is that when they’re bite sized you can just pop them into your mouth! Within our family we voted on whether each person preferred the pumpkin chocolate chip cookies or the muffins and we were split down the middle! 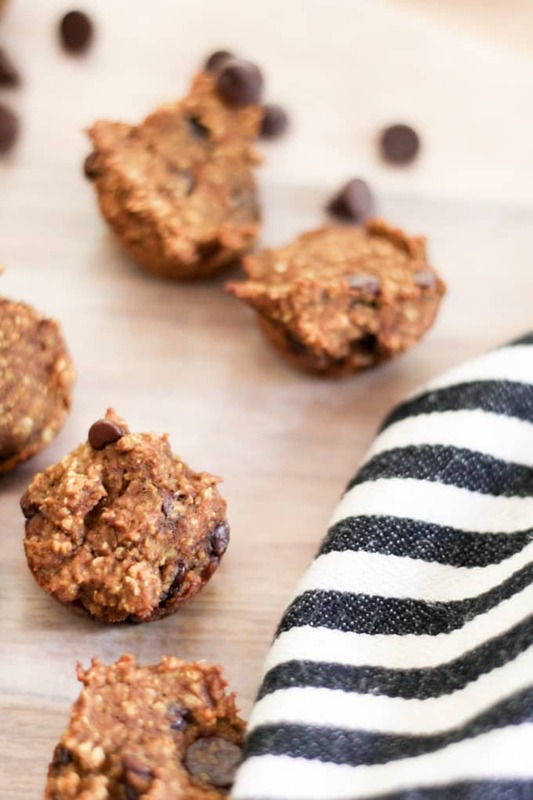 If you’re wanting to find ways to make your baking healthier, substituting oatmeal flour and honey is a delicious option. 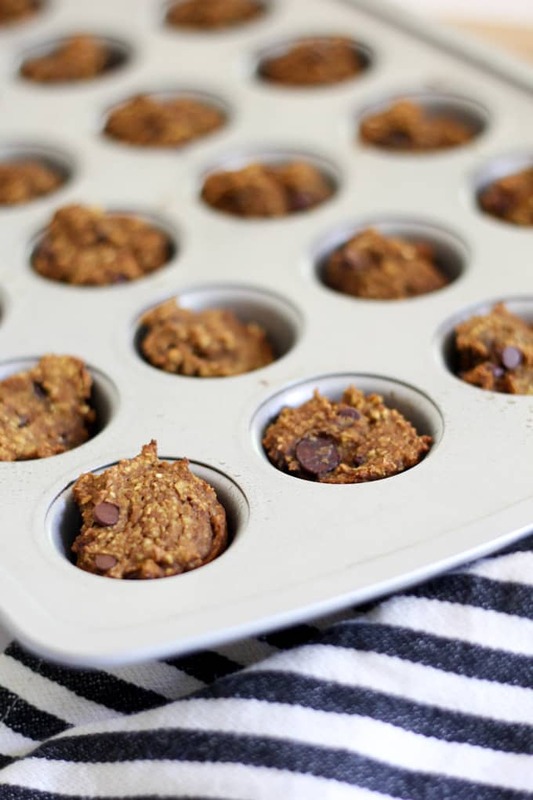 I hope that you enjoy these mini muffins as much as we do! Oh good, then you will love these!